Sweet card Cheryl. Really, no need to color it, looks great as it is. Sure made me smile. Have a super day. 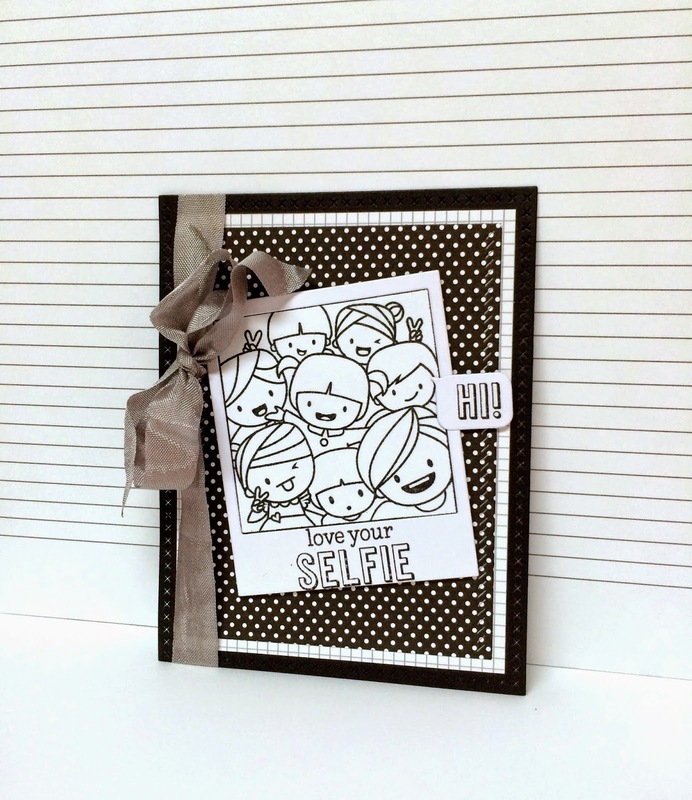 Lovin' the monochromatic selfie card! I haven't commented much recently due to a vacation....sorry...going to catch up, soon.